In 2005, Medichem decided to increase its production capacity by constructing a production plant in Malta. 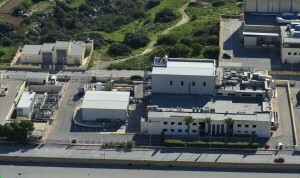 Medichem plant in Malta takes advantage of the country’s unique patent situation as an attractive option for generic pharmaceutical companies. Malta offers many advantages for the pharmaceutical industry because of its patent history and framework. As a consequence of this, many companies in the pharmaceutical industry have established operations in Malta over the last decade. They can take advantage of the absence of number of patents which were not registered in Malta and thus develop and launch product batches to be the first on the market immediately when a patent expires in a given country. Medichem and Combino Pharm (its sister company) can benefit from this unique patent situation and are able to do R&D work and produce generics drugs in advance of patent expiry. Medichem can offer unique non infringing processes and products from its no-483 USFDA (US Food and Drug Administration) inspected plant in Malta. This legal / IP framework allows us to offer first-to-market opportunities to its customers worldwide. In May 2014, Medichem opened a brand new Highly Potent Active Pharmaceutical Ingredients unit (HPAPI) in Malta. This new Highly Potent APIs unit allows Medichem to consolidate its presence in the generic pharmaceutical industry. The expansion into the field of HPAPIs enables us to offer a broader product portfolio to our customers.